The Unforgettable story of RAINE and TORIN from Immortals story continues in the RUNES series from Amazon bestelling authr Ednah Walters. But someone from his past wants me dead. 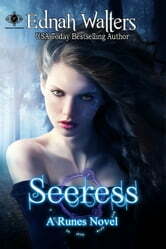 Raine Cooper is certain of two things: her love for Torin St. James and her destiny to be a powerful seeress. But when she starts having premonitions, they are unclear and disturbing. Worse, they involve Torin. With her mother gone, her father dying, and her best friend in Hel, she is not sure who to talk to. 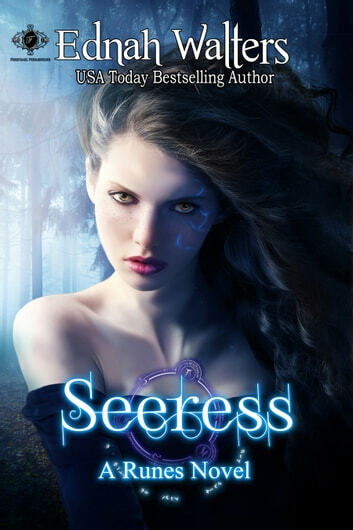 But when the visions become more personal and she foresees her future with Torin threatened by someone from his past, Raine becomes desperate for answers. Just her luck two new students arrive at her school and they seem to have answers. When with them, her powers are enhanced and her visions become clear. There is only one problem: Torin forbids Raine to see the two girls. Can their love survive without trust?